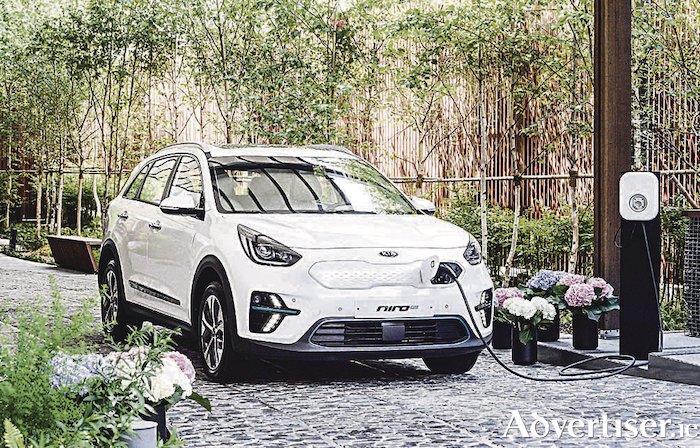 The new Kia Niro EV went on sale in Korea last week. It combines an all-electric, zero-emissions powertrain with crossover practicality, intelligent packaging and eye-catching design. A claimed long-distance driving range of up to 450 kilometres (circa 280 miles ) makes it one of the most capable electric vehicles on sale anywhere in the world. Power is provided to the front wheels through a 150 kW (204 ps ) motor, producing 395 Nm torque from a standstill, for acceleration from 0 to 100 kph in just 7.8 seconds. The battery pack is located low down in the body, beneath the trunk floor, creating a centre of gravity more akin to that of a sedan or a hatchback, ensuring maximum stability and driving enjoyment on winding roads. Matching the forward-looking nature of its powertrain, the Niro EV offers drivers a range of Kia’s ‘Advanced Driver Assistance Systems’, supporting the driver in various environments and scenarios to mitigate the risk of a collision. The Niro EV will feature several active safety systems. When the Niro was first launched in 2016, its new platform had been engineered to accommodate a variety of advanced powertrains. Its wheelbase ensures all occupants have plenty of legroom, while the sense of space is boosted by its crossover design. Its body is comfortably wide and tall, ensuring maximum head- and shoulder-room throughout the cabin. And Kia claims that at 450 litres (VDA ), it offers more cargo space than many other plug-in and electric vehicles.